Hi ladies! I hope you've all had a lovely weekend =) My weekend has been absolutely jam packed and will be for the next few weeks! Looking for a place, wedding planning, dinners and other exciting things etc so posting may be a little sporadic and light on words for a while I'm afraid! 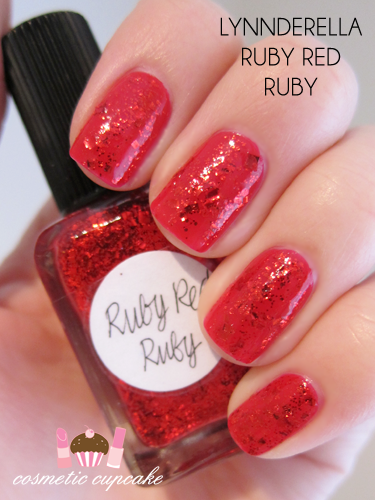 I have some quick swatches for you today of another gorgeous Lynnderella - Ruby Red Ruby. 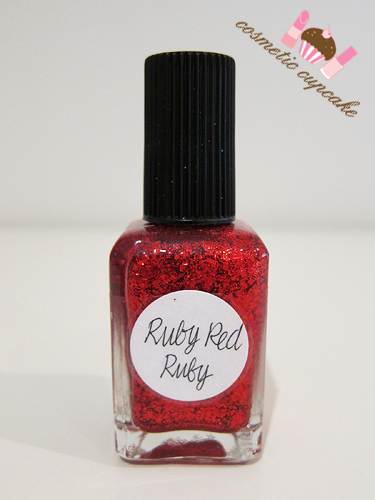 Ruby Red Ruby contains hex and square red glitter packed in a red glitter base. 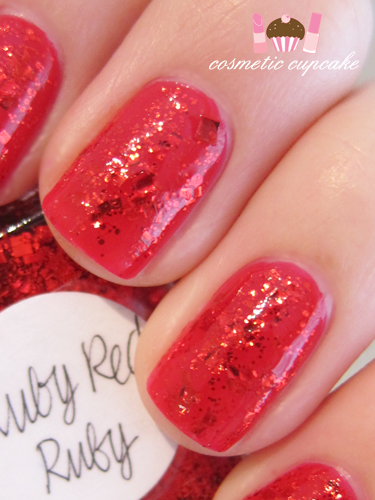 Here I've layered 2 coats of Ruby Red Ruby over 2 coats of China Glaze Poinsetta. It's kind of hard to see the glitter in my pics but trust me it's fabulous!! Love the red! Do you think you could do ombré nails with glitter on them? Thinking of trying them but would love to see your design first! So pretty *_* It actually reminds me of Dorothy's shoes from Wizard of Oz. Gorgeous! Jw, does the CG poinsetta stain badly? Woukd you care to do a swatch once with a light base? like soft pink or white? Oh my! This is gorgeous! Such a lovely colour. OMG! I love it *-* It's amazing!! I've heard so many things about the Lynnderella brand, and I know they're pretty hard to come by! This looks like such a great spring, bold color! Good luck on the wedding planning and I wish you alllll the best xo! that looks so pretty. was it hard to apply?